Amazon is fine. But these brick-and-mortar shops have done it for decades with a personal touch. In a city teeming with big-box stores and franchises on every corner, we wondered: are there any local places that started out as a family business decades ago and still operate under the same principles, no matter how large they may have grown? Turns out the Dallas area has dozens, if not hundreds, of thriving establishments built and run by generations of families. Some have been around 20 or 25 years; many have operated for nearly a century. Some have changed ownership but never moved far from home. All are still committed to the handcraftsmanship of their founders. They’ve got the callouses to prove it. A Head of Steam: Devin Marcum uses a hat steamer to block a white fur felt hat. Methods and equipment haven’t changed much at Hatco over the last half-century. Originally founded in Dallas in 1927 by E.R. Byer and Harry Rolnick to manufacture Resistol hats (so named because they resisted all weather), Hatco moved to Garland in 1938. It’s the only place in the world where Stetson, Resistol, Dobbs, and Charlie 1 Horse fur felt hats are made, and the factory ships more than 1 million hats a year worldwide. “But we’re not high-tech at all,” says John Rosenthal, the director of plant operations. “Most of the equipment dates to the 1940s, some from the 1950s. And every hat is handled one at a time, all the way through the process.” They don’t sell retail at the factory, but you can nab some good deals at the affiliated outlet store next door, which also carries Stetson’s lesser-known fedoras, made famous by Tom Landry. 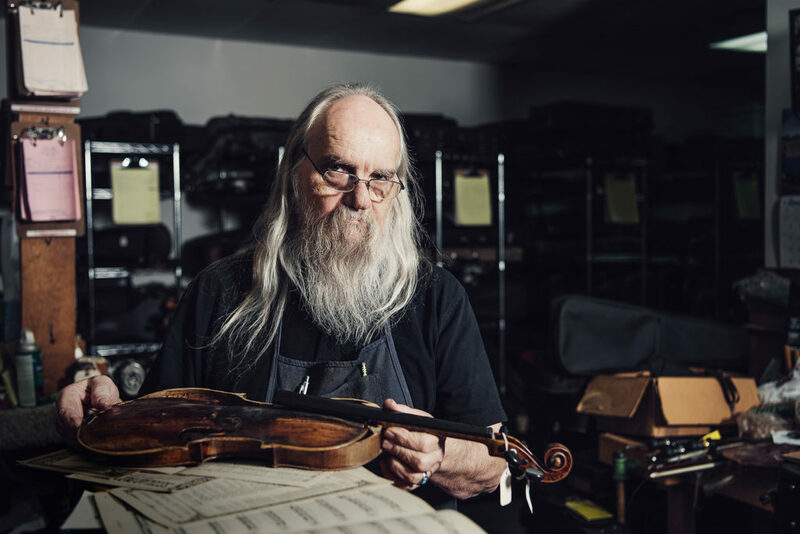 String Theory: Jay Rury has been in the business of violins—repairs, restoration, and sales—since 1975. He has worked on some of the top instruments in the world. Rury has also worked on a Gasparo da Salò, made around 1560. His shop abounds with conversation starters. Check out the century-old crocodile case at the front counter. Fit to Bust: Kathy Holland makes sure that customers leave feeling fully supported. 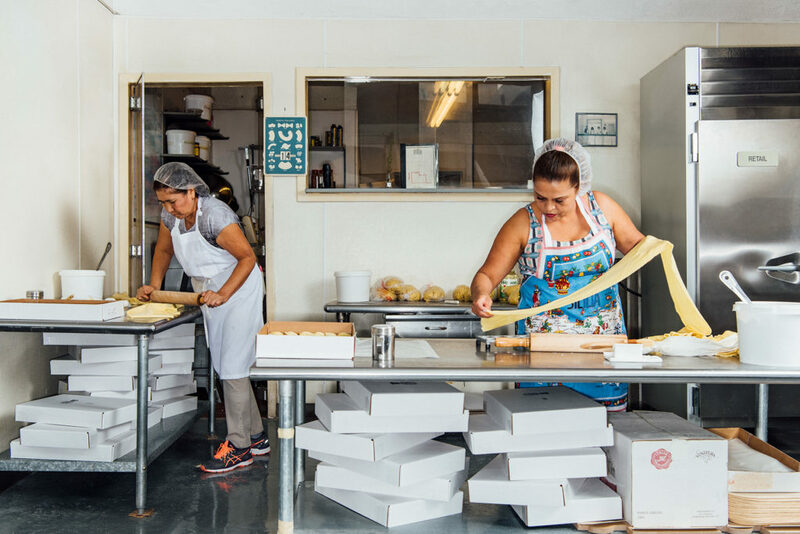 Press and Go: Zaila Munoz (left) and Gladys Mermudez turn out thousands of ravioli daily. 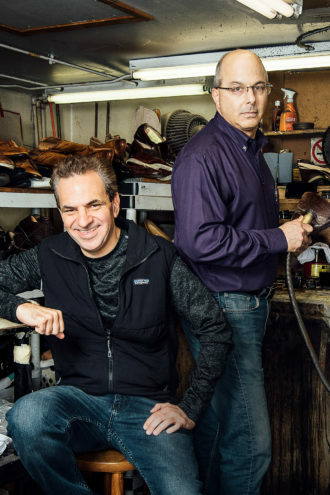 Well-heeled: Jimmy Velis (left) was born into the family business; Harry Yianitsas married in. “I’m the dreaded in-law,” Yianitsas jokes. 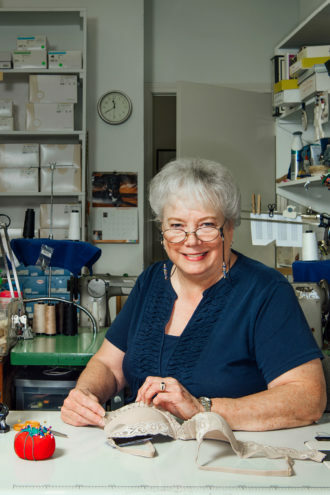 It may seem like Deno’s has always been in Highland Park Village, but Angelina and Deno Velis’ shoe-repair business actually got its start on Lovers Lane in 1960. A second store in Highland Park Village followed, originally located on the opposite side of the building from where they are now; a fire in the 1970s damaged the structure, forcing a move. Couples Vickie and Jimmy Velis (Jimmy is the Velis’ son) and Popy and Harry Yianitsas (Popy is their daughter) now run things, and Deno’s still repairs, refurbishes, and upgrades shoes. “If it’s leather, people show up to see if we can fix it,” Harry Yianitsas says. “As long as it’s not still moving, we’ll look at it.” One woman came in with two pairs of $3,000 sandals, wanting to combine the tops of one pair with the bottoms of the other. They did it. The boutique owner where she’d bought the shoes was furious. He was so sure it couldn’t be done that he’d promised her one free pair if Deno’s could pull it off. 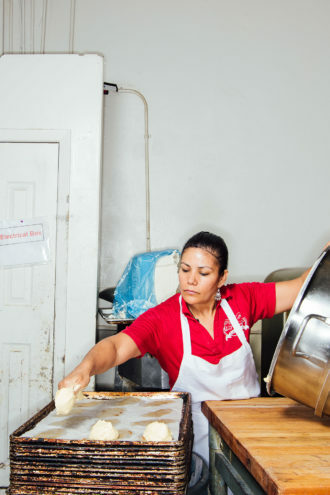 Hot Buns: Laura Garcia has worked at this family-owned bakeryin Oak Cliff for eight years. Alfonso Vera worked as a baker for Neiman Marcus for years before he and his wife, Julia, opened Vera’s Bakery on West Davis, in Oak Cliff, in 1995. Naomi Vera Chavarria, one of the three Vera daughters who works in the shop, credits the bakery’s longevity to her father’s hard work. “This business has always been above everything else,” she says. 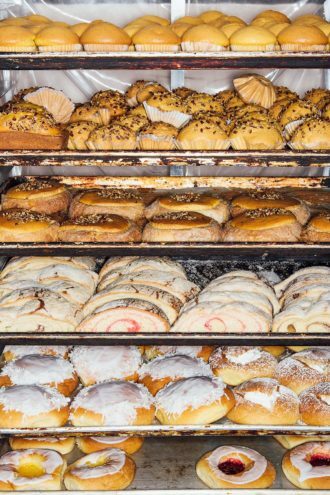 Neighbors stop in daily for the traditional Mexican pan dulce (sweet bread), but the daughters have ensured that the bakery stays up on modern trends. When Starbucks’ unicorn Frappuccinos debuted, Vera’s responded with unicorn conchas, topping the whipped cream-filled sweet breads with colored sprinkles. Making Light: Neon has been increasingly replaced by LED lighting, buts its scarcity has turned into an asset, making Brian Hensley’s handcrafted signs into collector’s items. Brian Hensley’s father has owned Frosty’s Sign Service in Midlothian since 1963. “I started working with my dad when I was 9, and I’m 48 now,” Hensley says. 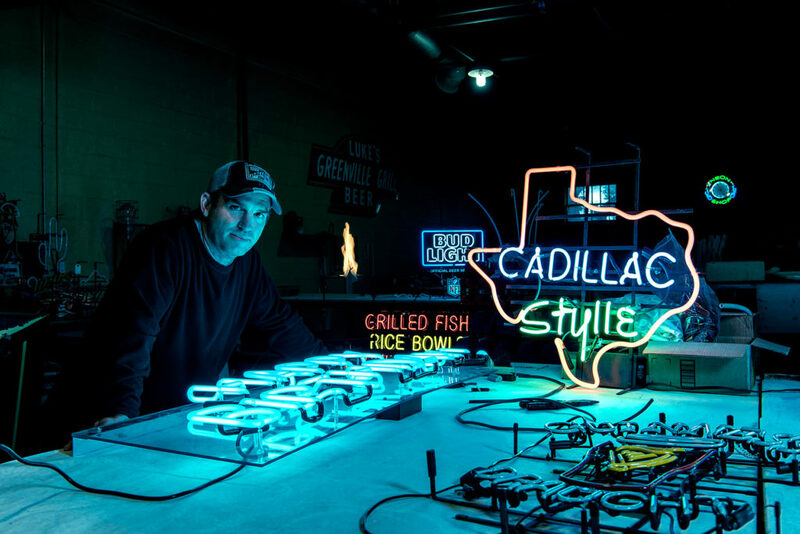 “We would go to neon shops, and, as we were waiting, I’d go in the back and start melting glass or whatever, and I gradually fell in love with the business that way.” He founded Neon of Dallas in 1991, and his five employees now make about 800 neon signs a year. If you love that original Pegasus sign atop the Magnolia Building in downtown, you can get a variety of replicas, running $1,500 to $5,800. Scratch the heads of resident pooches Jake and Bonnie while you decide what to write in lights.